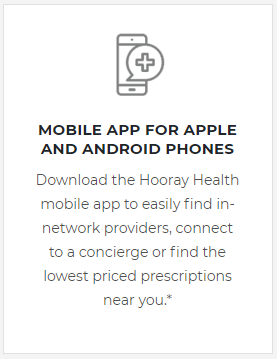 Hooray Health is happy to offer feature-rich plans that are easy to use, accessible nation-wide, and affordable. 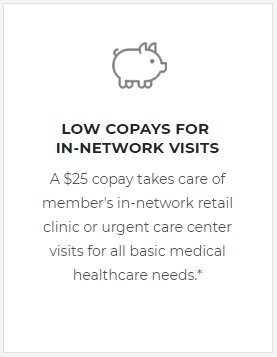 Our limited-benefit plans are built for members and their families who are looking for simple, accessible, and affordable supplemental coverage. 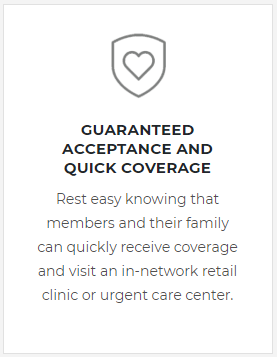 SelectCare is a fixed indemnity medical plan. 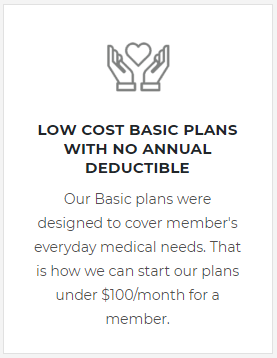 This plan pays a limited fixed dollar amount for the following medical expenses resulting from medically necessary treatment, accidental injury or sickness of a covered employee. 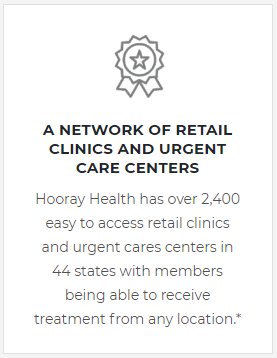 Benefit is payable to a retail clinic and urgent care. Benefit is payable for a routine health visit for covered persons. Benefit is payable for x-rays, laboratory and other diagnostic tests ordered or performed by a physician in a contracted retail clinic or urgent care. Benefit is payable for covered out-patient expenses that occur during a covered accident period. Benefit is payable for a maximum number of days per policy period, for hospital confinement. Benefit is payable for a maximum number of days per policy period, for hospital confinement in an ICU. When surgery is performed benefits are paid for operating and recovery room, surgical charges, medical services and supplies. Anesthesia administration in connection with a covered surgical procedure. 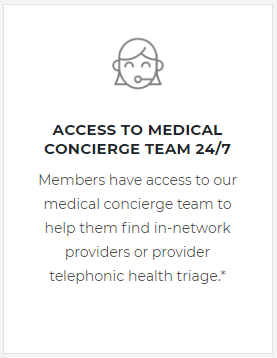 Have access to our medical concierge and telemedicine doctors 24/7. 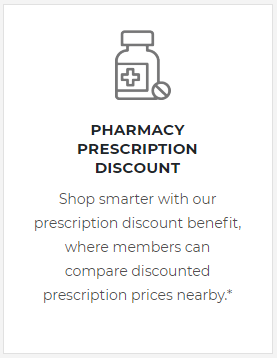 Unlimited access to discounts for all policyholders with top 10 contracted retail pharmacies. Access to some of the industry’s deepest discount so employees can save money on dental and vision services. Download the SelectCare Plan Guide for all plan information. *THE SERVICES DESCRIBED ABOVE ARE NOT INSURANCE AND ARE NOT PROVIDED BY AXIS INSURANCE COMPANY. LIMITED BENEFIT PLANS ARE INSURANCE PRODUCTS WITH REDUCED BENEFITS AND ARE NOT INTENDED TO BE AN ALTERNATIVE TO OR INTEGRATED WITH COMPREHENSIVE COVERAGE. FURTHER, THIS INSURANCE DOES NOT COORDINATE WITH ANY OTHER INSURANCE PLAN. IT DOES NOT PROVIDE MAJOR MEDICAL OR COMPREHENSIVE MEDICAL COVERAGE AND IS NOT DESIGNED TO REPLACE MAJOR MEDICAL INSURANCE. THIS INSURANCE IS NOT MINIMUM ESSENTIAL BENEFITS AS SET FORTH UNDER THE PATIENT PROTECTION AND AFFORDABLE CARE ACT. IF YOU DON’T HAVE MINIMUM ESSENTIAL COVERAGE, YOU MAY OWE ADDITIONAL PAYMENT WITH YOUR TAXES. Coverage is subject to exclusions and limitations, and may not be available in all US states and jurisdictions. 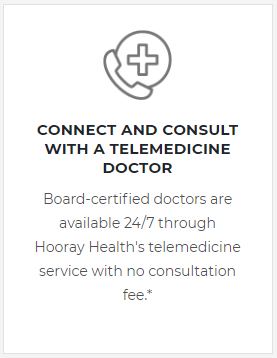 Product availability and plan design features, including eligibility requirements, descriptions of benefits, exclusions or limitation may vary depending on local country or US state laws. Full terms and conditions of coverage, including effective dates of coverage, benefits, limitations, and exclusions, are set forth in the policy. Please download the SelectCare plan summary for all information.